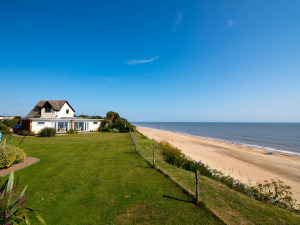 Beachside Holidays (Norfolk) offers weekly bookings starting on Saturday. Choice of 3 or 4 star chalets. One chalet can sleep up to 5 - double bed with single bunk bed above suitable for children aged up to 14. Price remains the same. All accommodation overlooks the sea! Chalet offers weekly bookings starting on Saturday. Log Cabin offers weekly bookings starting on Saturday. Facilities for children: Cots available, Highchairs available. Children welcome from any age.